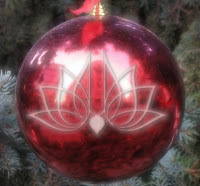 Happy Holidays from the Hare Krishna Centre! ~ The Toronto Hare Krishna Temple! Happy Holidays from the Hare Krishna Centre! The Toronto's Hare Krishna Centre would like to wish you and your family a happy holiday season. We hope this happy time of year brings smiles and spirituality into everyone's lives! You are welcome to come visit the temple during the holiday season as it will be open every day! Hare Krishna!